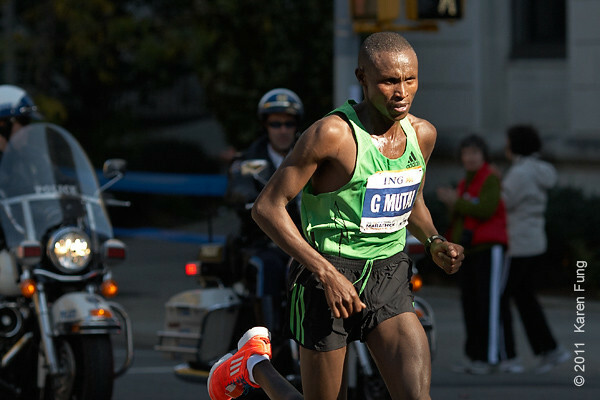 2011: Geoffrey Mutai of Kenya was the male champion, setting a course record of 2:05:06. 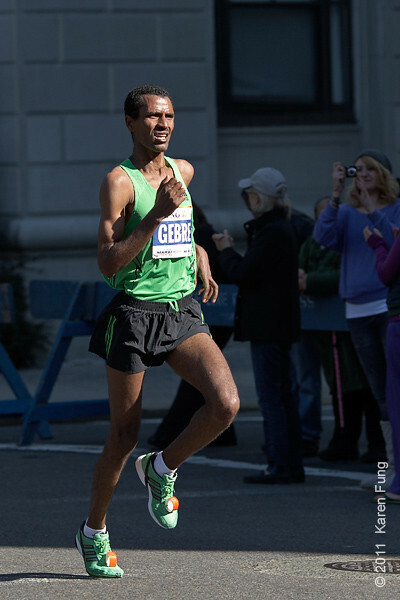 2011: Gebre Gebremariam, the defending male champion, came in 4th this year. 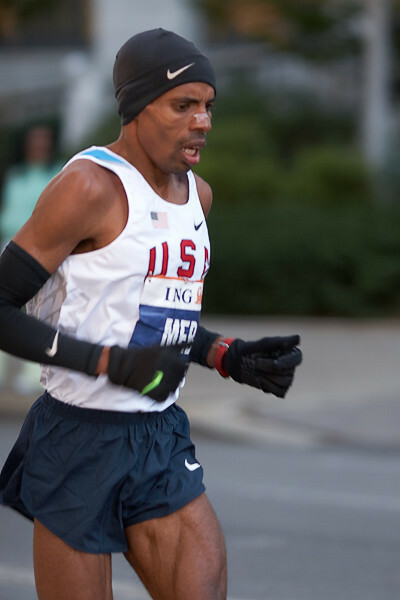 2011: USA's Meb Keflezighi, the 2009 champion, placed 6th this year. 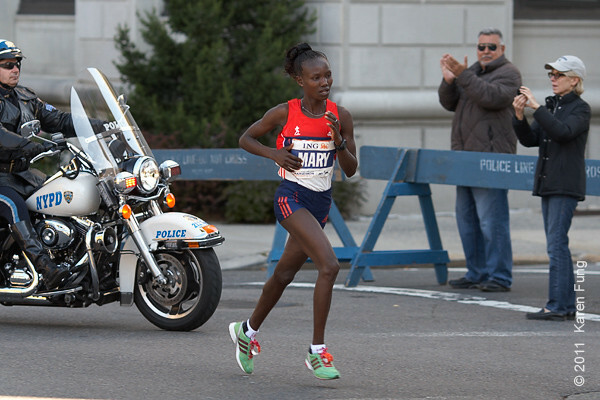 2011: Mary Keitany took an early lead, but lost her wind in the final stretch and came in 3rd. 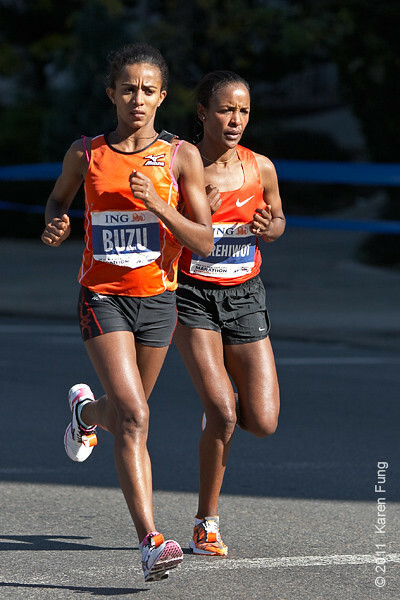 2011: Buzunesh Deba (left) and Firehiwot Dado caught up to Keitany in Central Park, then passed her. Dado was the women's champion, with Deba placing second, only 4 seconds behind Dado. 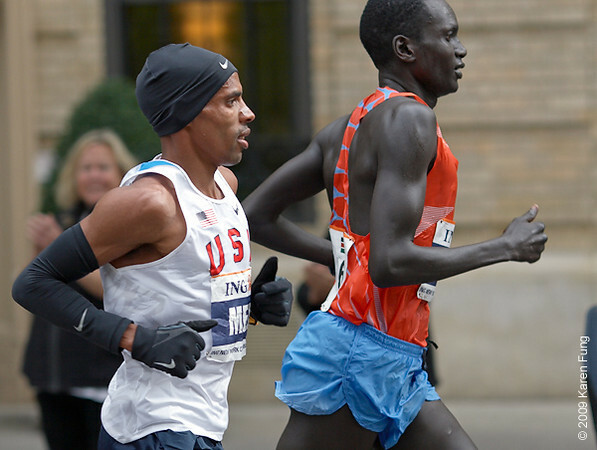 2009: USA's Meb Keflezighi and Kenya's Robert Cheruiyot at mile 23. 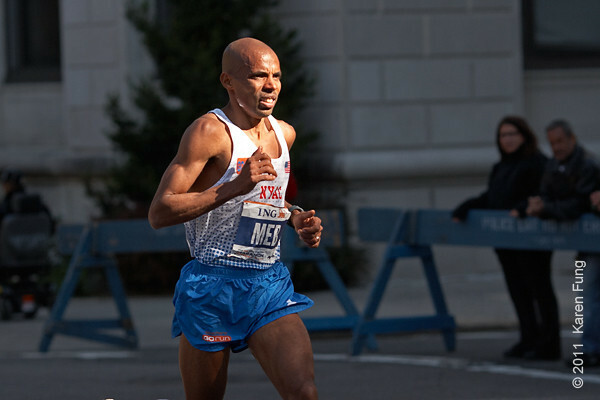 Keflezighi went on to win the race, becoming the first American male winner since 1982. 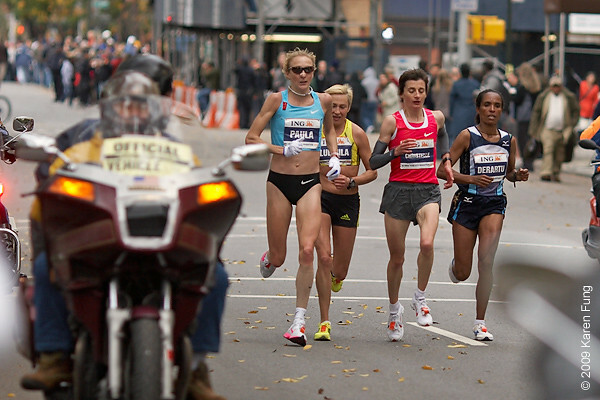 2009: Elite runners Paula Radcliffe, Ludmila Petrova and Deratu Tulu. 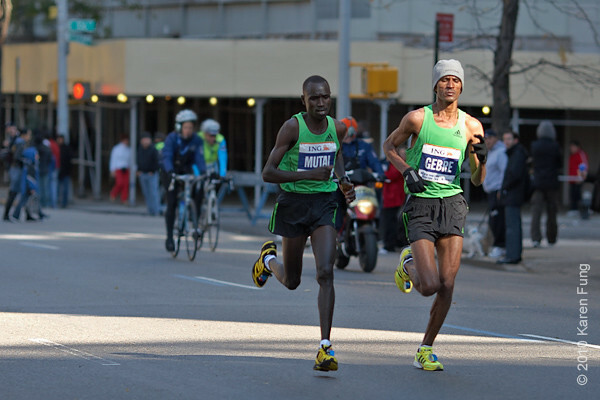 Tulu won the race, becoming the first Ethiopian female winner in the marathon's 40-year history. 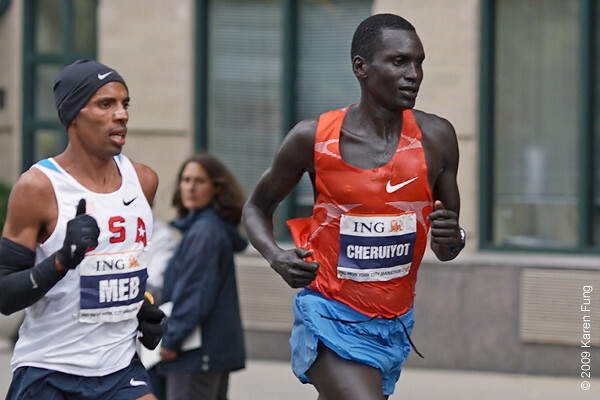 2009: Elite runners Paula Radcliffe, Ludmila Petrova, Christelle Daunay and Deratu Tulu. 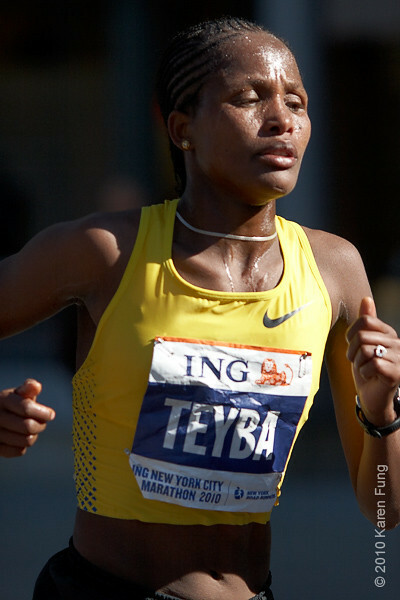 Tulu won the race, becoming the first Ethiopian female winner in the marathon's 40-year history. 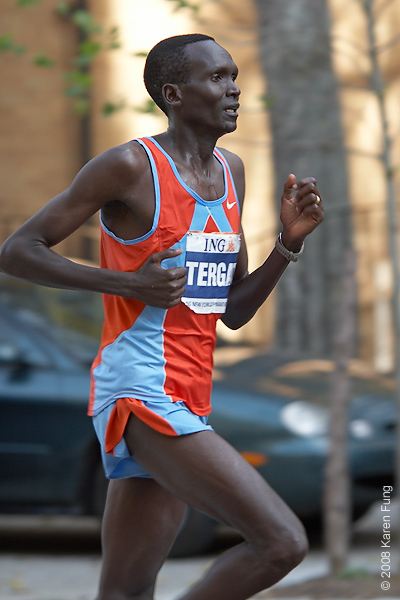 2008: Paul Tergat, the winner in 2005, finished in fourth place this year. 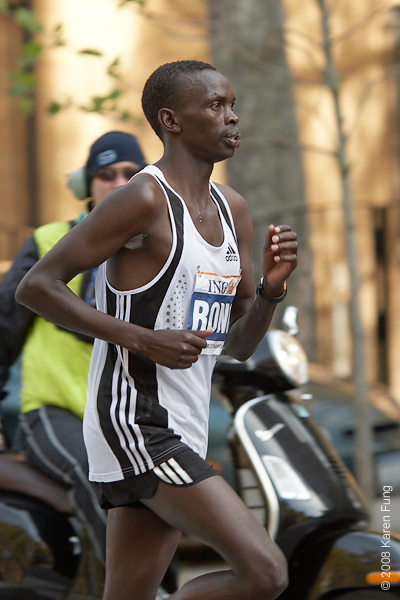 2008: Daniel Rono, who finished in third place. 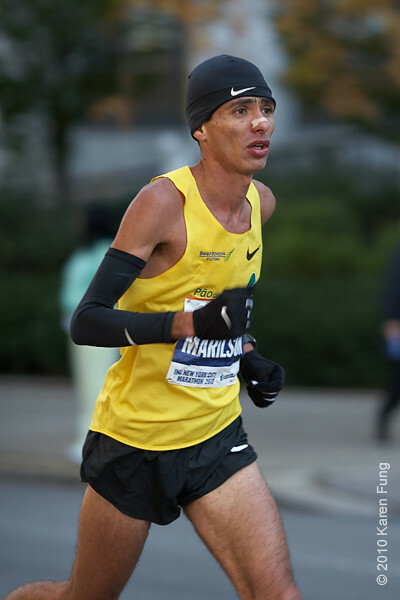 2008: Marilson Gomes dos Santos, the Men's champion, who also won in 2006. 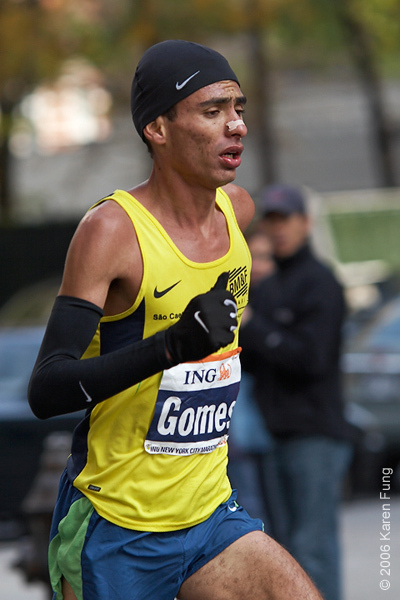 He is the only South American ever to win the race. 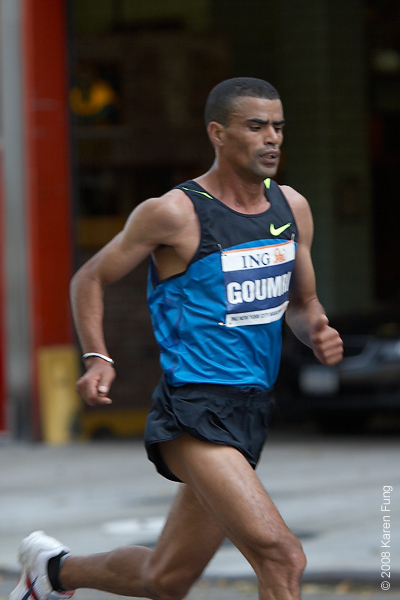 2008: Abderrahim Goumri was ahead at mile 19 but was overpowered by Gomes dos Santos in the last two miles and ended up in second place. 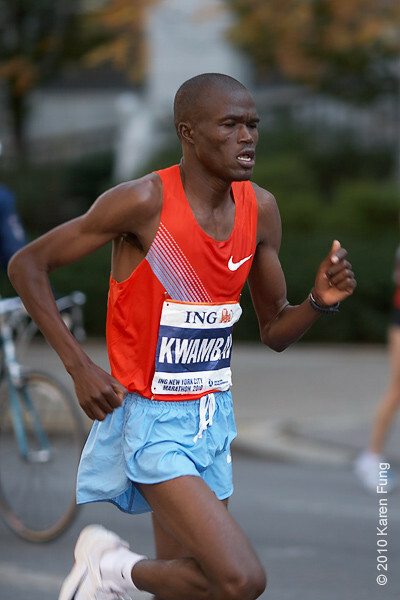 He was also the runner-up in 2007. 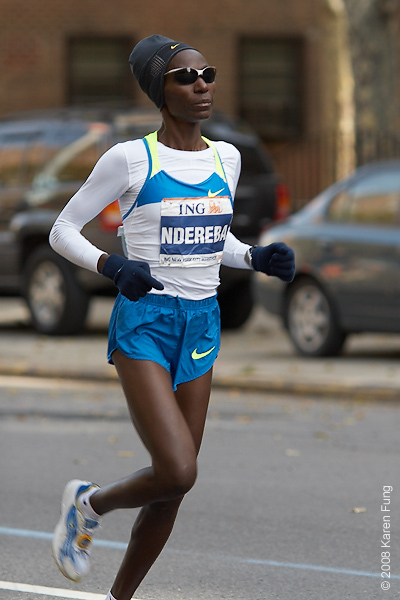 2008: One of the best female marathoners of all time, Catherine ("The Great") Ndereba came in fifth this year. 2008: Kara Goucher made her marathon debut and finished 3rd, becoming the fastest American woman in the race's history. 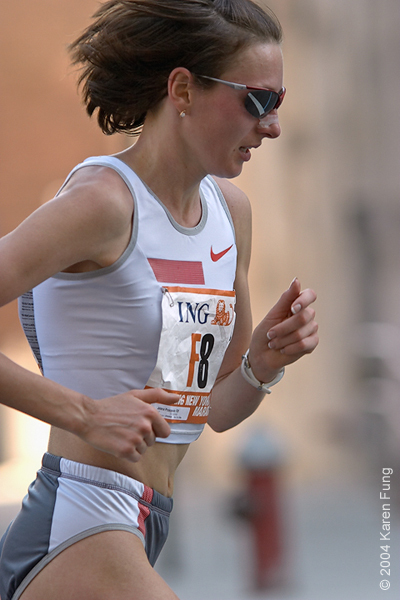 2008: Ludmila Petrova, the winner in 2000, finished 2nd this year. 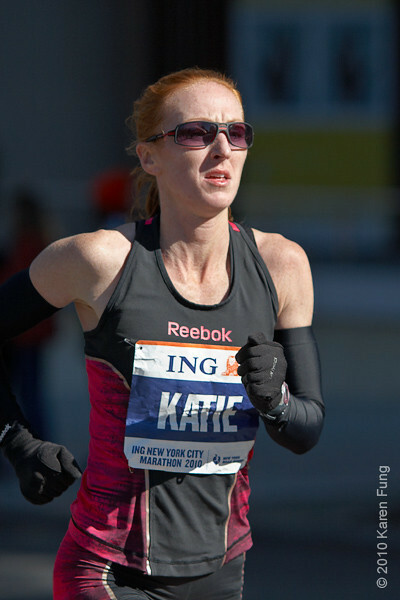 2008: Paula Radcliffe, Women's champion for the second year in a row. 2007: Defending champion Jelena Prokopcuka tried for a 3-peat, but came in third this year. 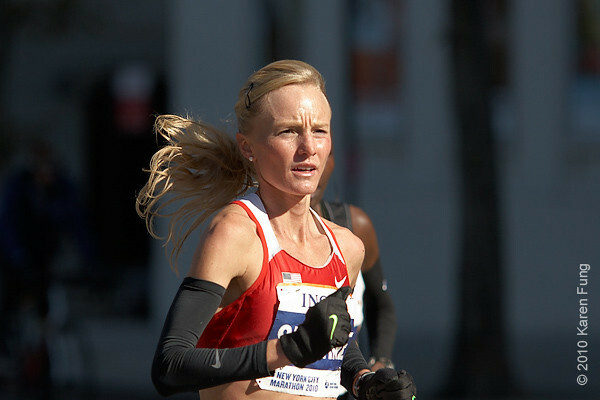 2007: Women's champion Paula Radcliffe, with Gete Wami behind her. 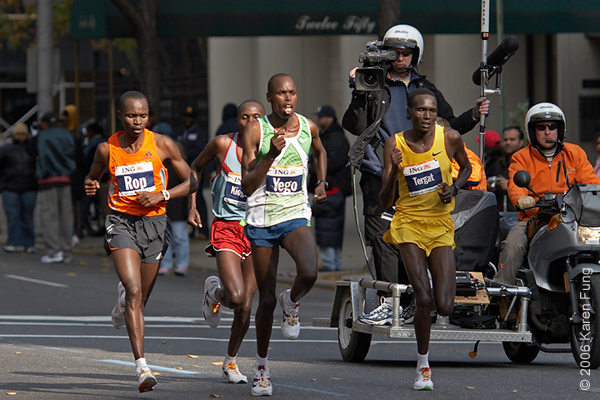 The women ran neck to neck for most of the race. 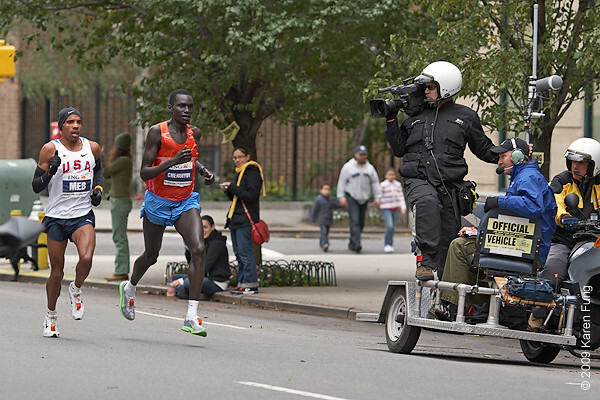 2007: Women's champion Paula Radcliffe, trailed by Gete Wami who came in second. 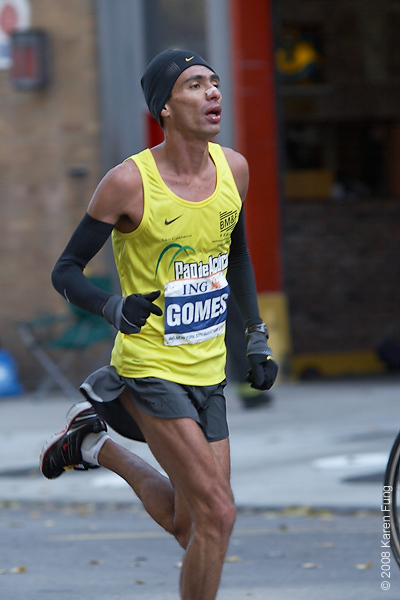 2006: A group of elite runners trail Gomes de Santos by several hundred yards at mile 23 of the 26-mile race. 2006: Jelena Prokopcuka, the Women's champion for the second year in a row. 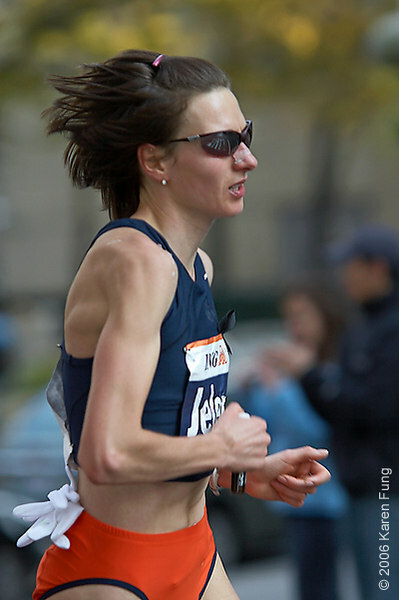 Jelena Prokopcuka during the 2004 Marathon. She came in 5th that year. 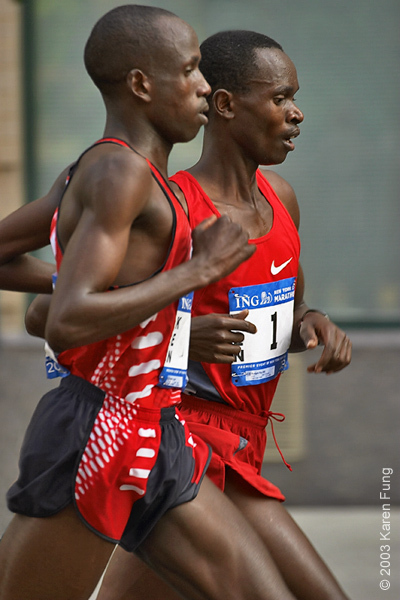 2003: Martin Lel (left) running side by side with defending champion Rodgers Rop at mile 23. Lel went on to win the race, and Rop came in second.